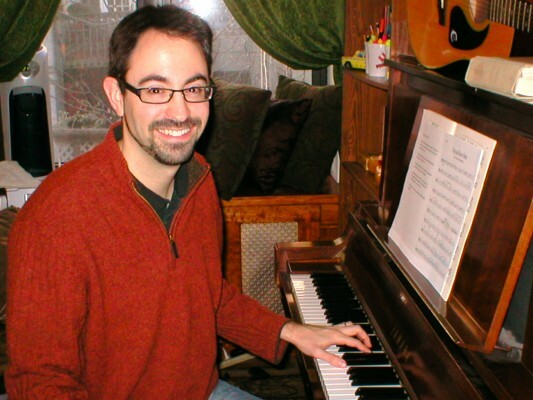 Peter Mills is a composer/lyricist whose musicals include ILLYRIA, GOLDEN BOY OF THE BLUE RIDGE, THE FLOOD, THE ALCHEMIST, DEATH FOR FIVE VOICES and THE TAXI CABARET. He is currently writing lyrics for the Broadway-bound musical, THE HONEYMOONERS. Peter is the recipient of the 2014 Donna Perret Rosen Award for excellence in Musical Theatre. He received the 2011 Cole Porter Award, the 2010 Kleban Award for lyrics, the 2007 Fred Ebb Award for emerging songwriters, 2006 Drama Desk Award nominations for his show THE PURSUIT OF PERSEPHONE (Best Music and Best Orchestrations), the 2003 Richard Rodgers New Horizons Award from the ASCAP Foundation, and a 2002 grant from the Jonathan Larson Performing Arts Foundation. He supplied lyrics for IRON CURTAIN, (book by Susan DiLallo, music by Stephen Weiner), which had a critically-acclaimed Off-Broadway production in November 2011. With Cara Reichel, he wrote THE FLOOD, which was selected for the 2001 ASCAP Musical Theater Workshop. MARCO POLO, written with composer Deborah Abramson, was selected for the ASCAP Musical Theater Workshop in 2000, and Peter and Deborah were chosen as 2000-01 Dramatists Guild Fellows.